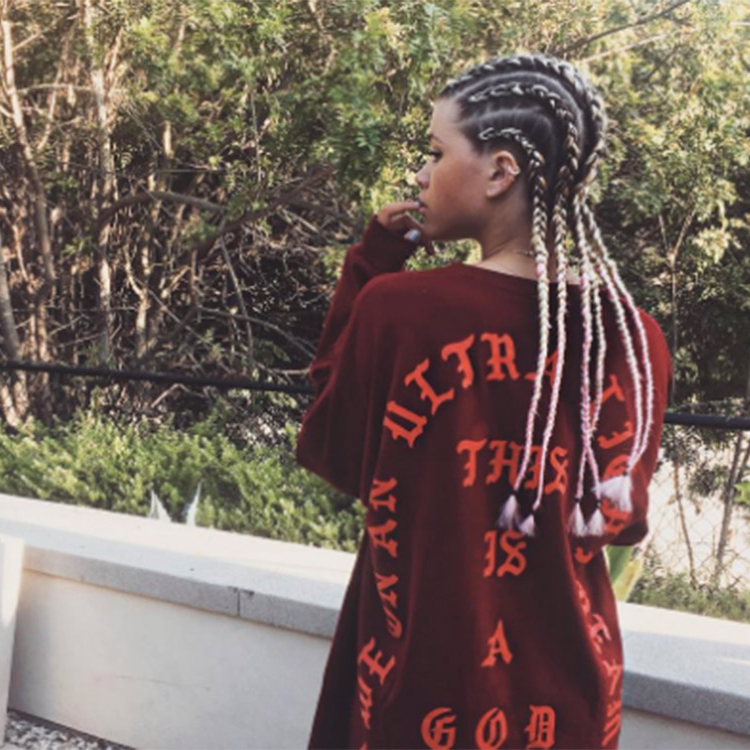 You’ve probably seen Sofia Richie a lot recently – the 18 year old has been causing a stir online. With over 1.5 million followers on Instagram and a endless list of famous friends, she’s set to become one of the biggest names in the world of fashion. Sofia began modelling in 2014 and was soon snapped up by top agency Select Model Management. In 2015, she was the face of Madonna’s Material Girl line and was a guest of Stella McCartney at this year’s Met Gala alongside Cara Delevingne – proof of her ever-improving fashion credentials. Her father is Grammy award-winning music legend Lionel Richie, who has sold over £100 million records and is reported to be worth over £150 million. Meanwhile her sister is fashion mogul Nicole Richie, who first shot to fame as part of hit reality TV show ‘The Simple Life’ alongside her good friend Paris Hilton. If anyone should be used to mingling amongst the stars, it’s Sofia. The model is exceptionally well connected. Michael Jackson was her godfather and she’s good friends with his daughter, Paris. She also counts Kylie and Kendall Jenner as close friends, and describes Talita von Furstenberg (granddaughter of fashion designer Diane) as ‘one of her best friends in the whole world.’ Oh, and she’s dating Justin Bieber. After sharing a series of black and white photos of himself and Sofia, the Beebs wasn’t quite prepared for the reaction he would receive from fans. Next thing we know Justin had accused Selena of using him for attention and his Instagram account was no more. Burn.